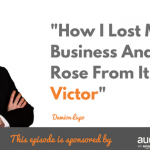 Are you sure your prospects understand the message you’re trying to convey? Here’s an awesome way to help you figure it out. 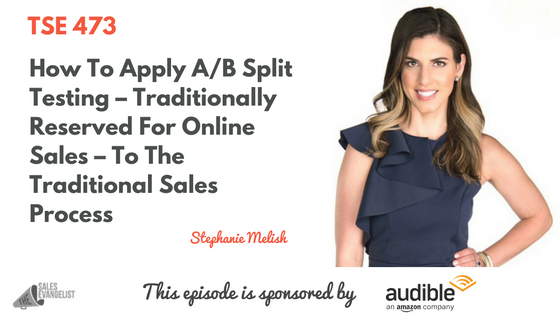 The idea of split testing is usually associated with the online space but my guest today, Stephanie Melish, is going to teach us some great insights into how split testing can be so useful in growing your sales or business even when you’re doing it traditionally. Stephanie is a professional speaker and a certified business coach. She helps individuals or businesses improve their lives and increase their bank accounts while doing it. 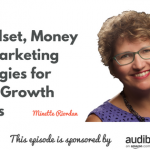 Learn more about how you can incorporate split testing even when you’re doing traditional sales. Comparing versions A and B which are identical except for one variation that may affect the end result or the user’s behavior. Version A can be what you’re currently doing and Version B is modified with only one variation. So you will know what makes your prospects respond to more and to make sure your prospects clearly understand your message. Focus on the area that doesn’t feel to be working. Identify the areas you’re struggling with and where you don’t think you’re at your peak performance. There are different places that you can try split-testing such as your value proposition or even your email subject lines. Have a variation of it to figure out which version people respond to better. Only change one variation at a time. You can’t change everything. Only change one variation at a time. Know what you’re trying to accomplish to be able to identify how you’re going to test it and to test its effectiveness. When you find what’s working, stick to it. Be smart enough to know when is the right and appropriate time to use it in the sales process. Keep testing it until you hit the number you’re trying to pull in. How long to test it actually depends on your desired results. Or keep testing until you can evaluate it. Know what really works for you and your industry. Be bold but test out to see what works well for your environment and for your business to make sure it fits your industry. It’s okay to try out new things to discover what works. Even you know it works well, still try to test it to see if there is a better way to do it. Always be evolving and improving because there is no limit to your growth. You never know when a shift is going to happen so you always want to be on the tip of your toes learning, evolving, and doing something that’s different. Know more about Stephanie on www.stephaniemelish.com and follow what she’s doing.